Suite B is 1,854 SF. 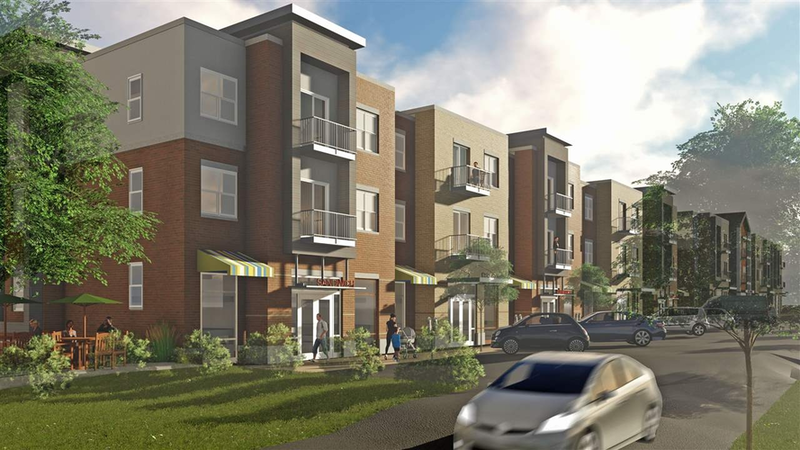 Ethos is a new mixed-use development located at the busy intersection of W. 3rd Street and Patterson Drive. Ethos has a total of 33,000 SF of commercial/retail space available for lease on the first floor of three separate buildings. Building 2 has 4 suites: A (2,048SF), B (1,854SF), C (3,484SF), and D (2,387SF) available for lease for $18.00 PSF. Buildings 3 and 4 offer a variety of sized suites up to 11,000 SF. Located less than 1 mile from Downtown Bloomington, Cook Pharmica and I-69, this space is fully accessible from 3rd Street via Westplex Avenue and from Patterson Drive via Isaac Drive. Ethos is located in a densely populated, underserved retail trade area, and adjacent to landmark office/ medical area. This space sits within a 1-mile radius of 2,140 apartment units. Directions:Full Access from 3rd Street via Westplex Avenue and from Patterson Drive via Isaac Drive. There is also a private drive (with angled parking) that runs parallel to 3rd Street.